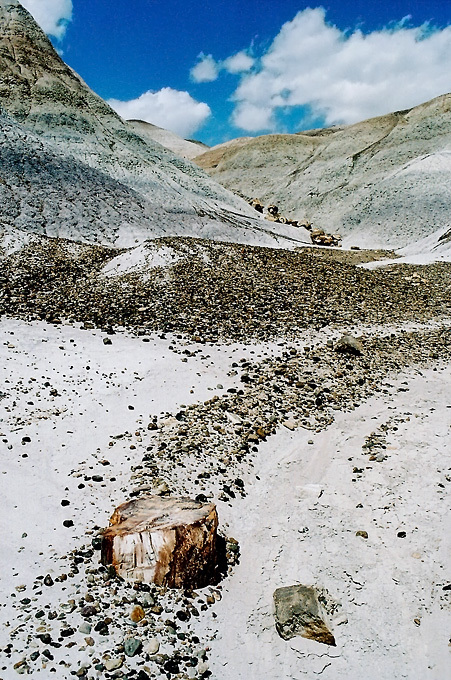 A short hike on the Blue Mesa trail takes you into some scenic badlands strewn with petrified logs. 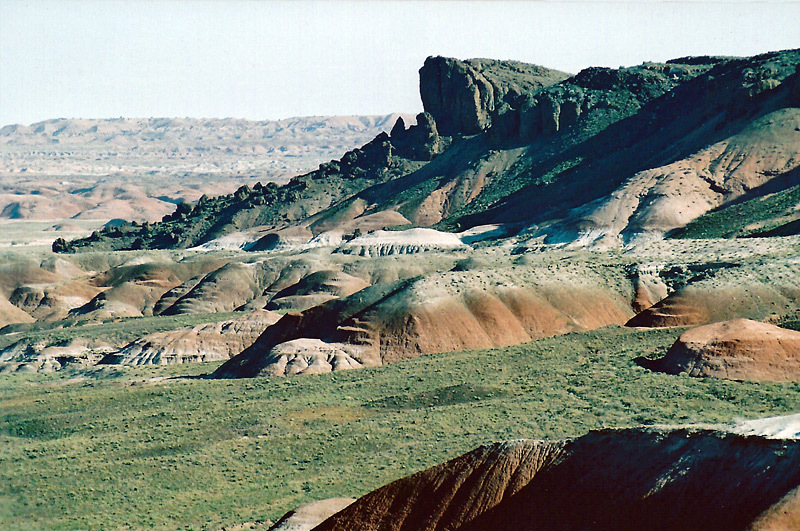 This picture of the Painted Desert was taken from the Lacey Point overlook near the northern entrance of the park. An easy 1.6 mile hike on the Long Logs trail takes you through one of the park's largest concentrations of Petrified Logs. 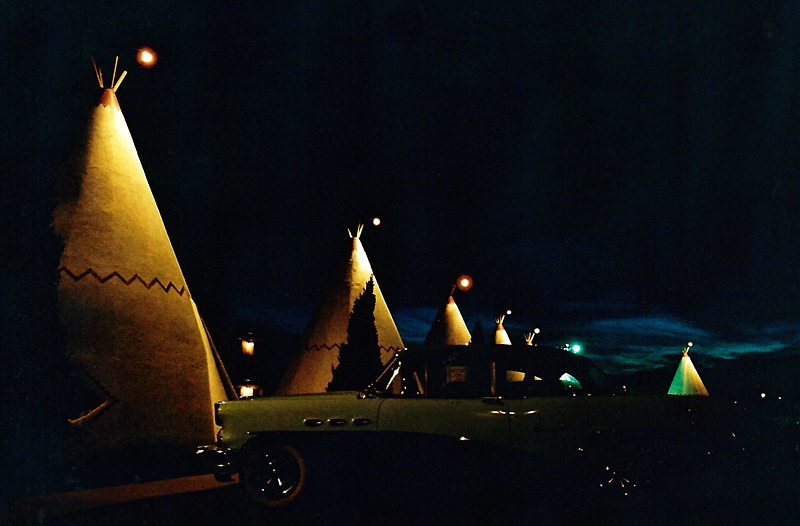 Built alongside old Route 66 in the 1950's, the Wigwam Motel is the place to stay when visiting the Petrified Forest. 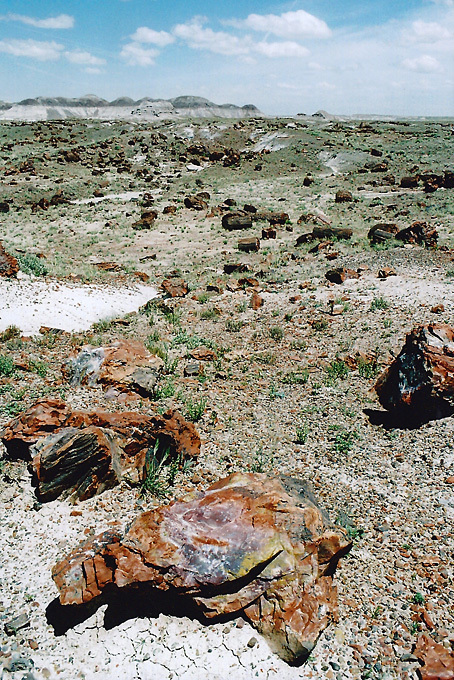 Also be sure to visit at least some of the Dinosaur, Indian, and Jackrabbit themed trading posts which are almost as numerous as the petrified logs.